A broken clock is worse than no clock at all. 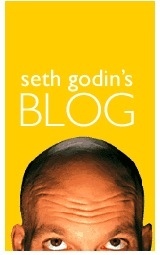 Seth Godin says in a few words what most of us have trouble stating in a few paragraphs. If your company uses a scorecard or measurement system that isn't transparent and isn't accurate it's much worse than no measurement system at all. You need to fight back. This entry was posted in Business and tagged ideas, motivation, productivity, sales management. Bookmark the permalink.